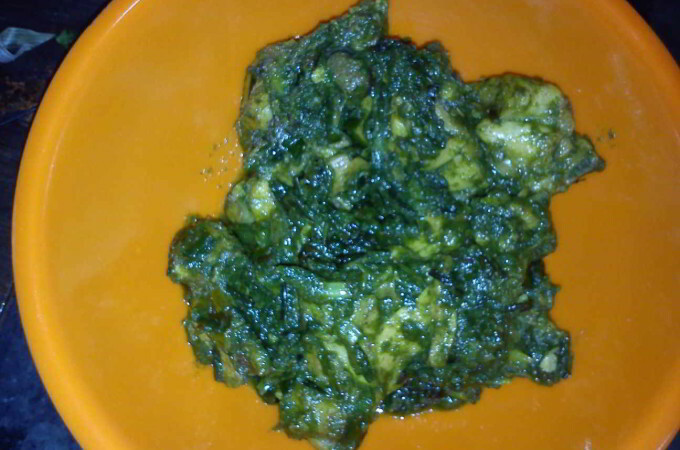 Muri Ghonto is a very popular Bengali dish. 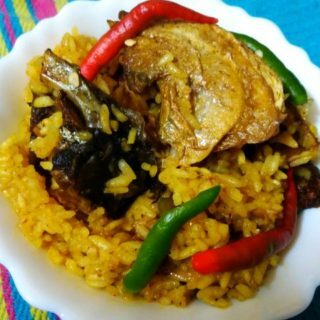 This word muri in the comes from the word ” muro ” which means fish head and Ghonto usually means a mix of some things cooked together. Muri Ghonto is also made with dal and cabbage. Here I am cooking with Rice. 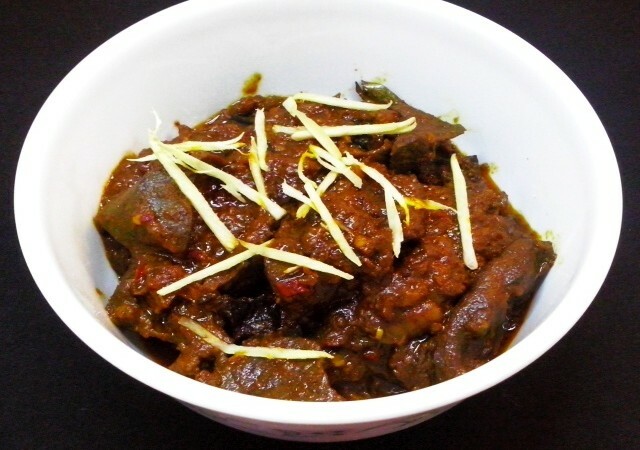 Muri Ghanto is one of the signature dish from bangali cuisine. 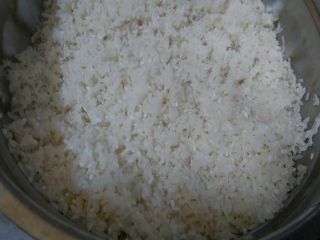 1-Soak rice for 20-30 minutes ,wash and drain. 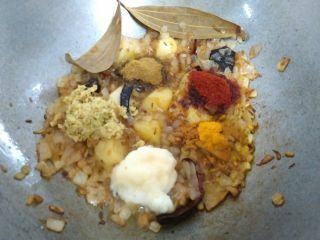 2-Marinate the fish head with turmeric powder, red chili powder, garlic paste and salt. 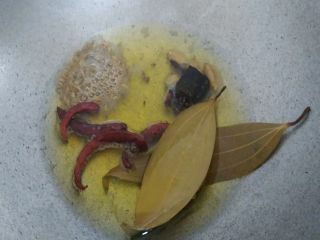 3-Heat 5 tbsp ( or more if the fish head is bigger ) of mustard oil in a wok. 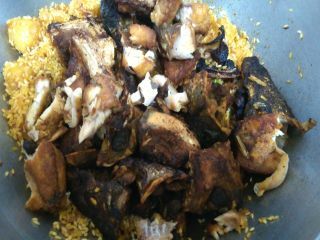 Fry the fish head well till nicely brown from all sides. Remove from oil and keep aside. 4-Heat 2 tbsp of clarified butteer in another wok. 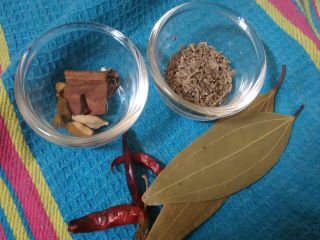 Add bay leaves, cumin seeds, small cardamon, cinnamon stick, cloves and dry red chilies. 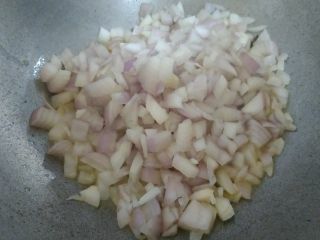 5-Add onion sliced and cook till it change colour. After few minute add potatoes. When onion turn light brown. 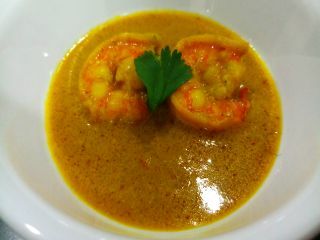 6-Add garlic- ginger pests, cumin powder, turmeric powder and red chilies powder, stir very well. 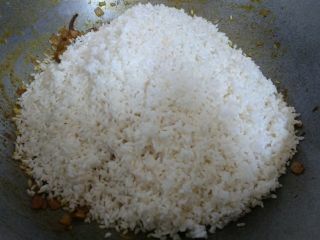 7-Add the washed rice, mix gently. Cook for 5-6 minutes. 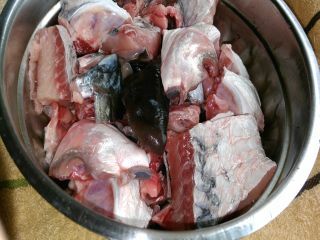 8-After 5-6 minutes add fish head and green chilies. Cook 2 minutes. 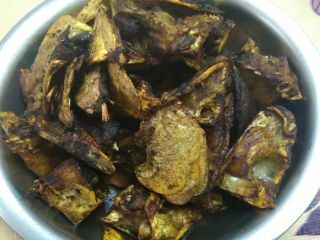 9-Add 4 cups water and garam masala powder. Add salt and sugar, reduce heat and cook over medium heat for 7-8 minutes. Cover and cook for 3-4 minutes. 10-Switch off heat. Add clarified butter and mix well. Cover and let it rest for 10 minutes. 11-serve hot with onion salad. 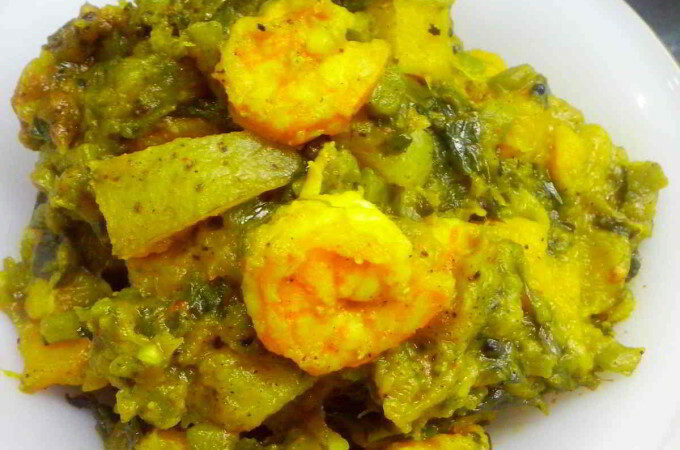 Muri Ghonto is a very popular Bengali dish. This word muri in the comes from the word " muro " which means fish head and Ghonto usually means a mix of some things cooked together. Muri Ghonto is also made with dal and cabbage. Here I am cooking with Rice. 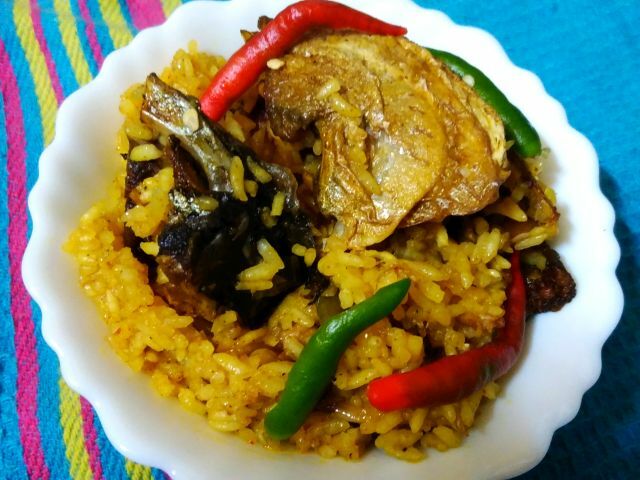 Muri Ghanto is one of the signature dish from bangali cuisine. Soak rice for 20-30 minutes ,wash and drain. 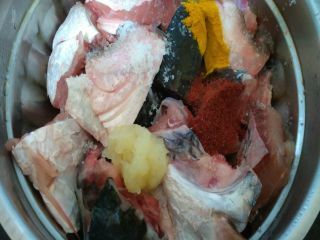 Marinate the fish head with turmeric powder, red chili powder, garlic paste and salt. 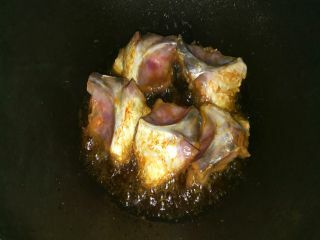 Heat 5 tbsp ( or more if the fish head is bigger ) of mustard oil in a wok. Fry the fish head well till nicely brown from all sides. Remove from oil and keep aside. Heat 2 tbsp of clarified butteer in another wok. 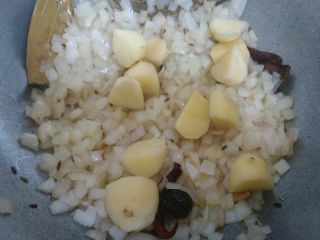 Add bay leaves, cumin seeds, small cardamon, cinnamon stick, cloves and dry red chilies. Add onion sliced and cook till it change colour. After few minute add potatoes. When onion turn light brown. Add garlic- ginger pests, cumin powder, turmeric powder and red chilies powder, stir very well. Add the washed rice, mix gently. Cook for 5-6 minutes. After 5-6 minutes add fish head and green chilies. Cook 2 minutes. Add 4 cups water and garam masala powder. Add salt and sugar, reduce heat and cook over medium heat for 7-8 minutes. Cover and cook for 3-4 minutes. Switch off heat. Add clarified butter and mix well. Cover and let it rest for 10 minutes. serve hot with onion salad.